It was at the start of the sixties when ROPER manufactured the first two leaf sliding doors. From the outset, this model of door was enormously successful, especially for buildings with an industrial application. Due to its functionality and maximum saving of space, its use also became widely accepted in family and community housing. Later came the guillotine doors, sliding doors, automatisms, etc. 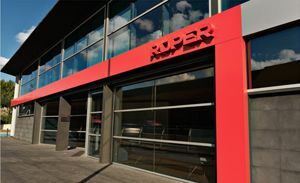 The Standard Single Leaf Sliding Door marked a turning point at ROPER, leading to the sectional, fire screen, multipurpose doors and the whole range of products that ROPER currently manufactures, rank the company as market leader in Spain. 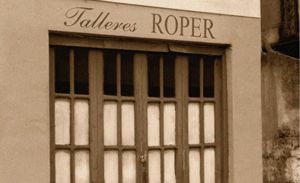 The experience built up over 50 years in the sector, implementation of the most innovative technologies along with the strict requirements applied in its products and services, have led ROPER to increase their market quota, year after year, ranking it as market leader in Spain in the manufacture and distribution of metal doors. 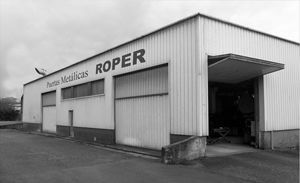 An important part of ROPER’s production is for exports abroad, with products on the main markets in Europe, America, Asia and North Africa.